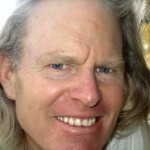 The XOEarth Citizens Accord is a call to 1 billion Earth citizens and businesses to score 4% for the planet each month via the dimensions of Team, Art, Logic and Love. 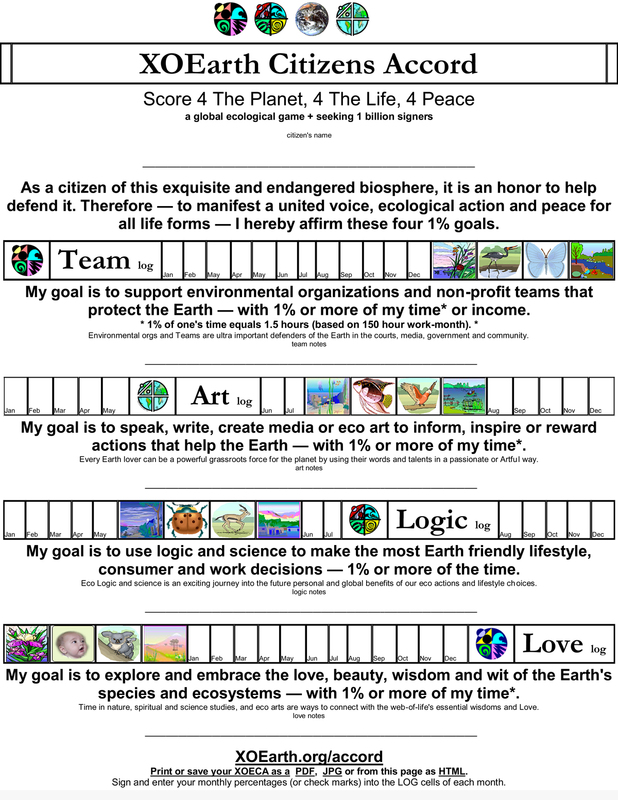 By scoring 1% or more in each of these 4 dimensions, every signer will help manifest a global ecological movement to protect this awesome planet. Here is the XOEarth VOX Pledge to add to your XOEarth Citizens Accord if you want to, or start with this pledge if you prefer. and/or asks a person(s) to take an eco action. Add the XOEarth Honors Pledge to your XOEarth Citizens Accord and VOX Pledge, or start with this pledge if you want to. for their eco actions, or for completing an eco challenge. and stops supporting those that hurt it. Emoney and Eawards to thank your green friends. a dance, something from a junk drawer or even an XOEarth kiss. Share your ideas on XOEarth Facebook and beyond. Print and sign the XOEarth Honors Pledge card. Print extras for friends. In most cases, the cards will be 3.5 inches wide when printed. If the cards are not this size when you print them, open the “Print Preview’ window and then adjust the scale/percentage to 100%. Printing the XOEarth Pledge cards on heavier paper is a nice — but optional. Have fun flashing your XOEarth Honors Pledge cards to others to encourage them to join you in creating eco media, and to help empower a visible ecological society. Feel free to print and give away a bunch of un-signed XOEarth Honors cards too. If you prefer to write out the pledge/ card that’s super fine.